Zowell not only supplies our standard type materials transport equipment, we also offer customization services. We can provide forklift truck customization along with all of our other lines of equipment. These customization options allow us to deliver high quality products to customers with unique needs. Custom Electric Reach TruckZowell provides different parts to choose from for our custom electric reach trucks based on our standard forklift truck designs. There are some attachments, such as bale clamp attachments, stabilizers, tilting forks, low-height masts, wider fork carriages, and load backrests. The trucks are typically produced with fork buckets and other containers, so we provide electric reach stackers with tilting forks. 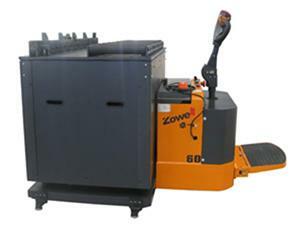 Custom Electric Pallet Jack TruckZowell can perform refitting of electric pallet jack trucks according to the practical requirements of the customer. 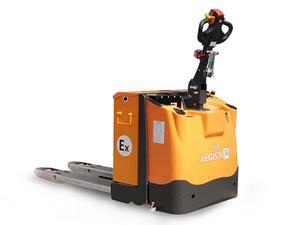 The following is a case where an electric pallet jack truck was refit to be more suitable for specific applications. 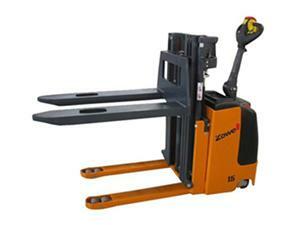 The Zowell electric pallet jack truck is an explosion-proof pallet truck that delivers reliable performance. Custom Electric Lift StackerZowell designed the electrick lift stacker with ultra-low height mast especially for situations in which the lift stacker will be used in confined spaces such as caves and mines. The max height of the whole machine is less than 1800mm. 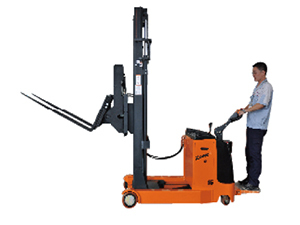 The lifting of the lift stacker can be freely controlled. The lifting height can reach up to 3500mm. Custom Electric TuggerThe electric towing head is applied in corrugated board production lines, corrugating machines, tile presses, iron tile production machines, color steel forming machines, plate mills, encaustic tile production machines, cold-bending machines, plate electrode production machines, pinch plate production machines etc.